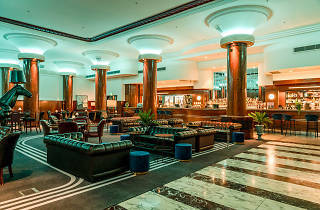 The storied, heritage City Tattersalls Club building has been a meeting place for Sydneysiders for over 120 years. 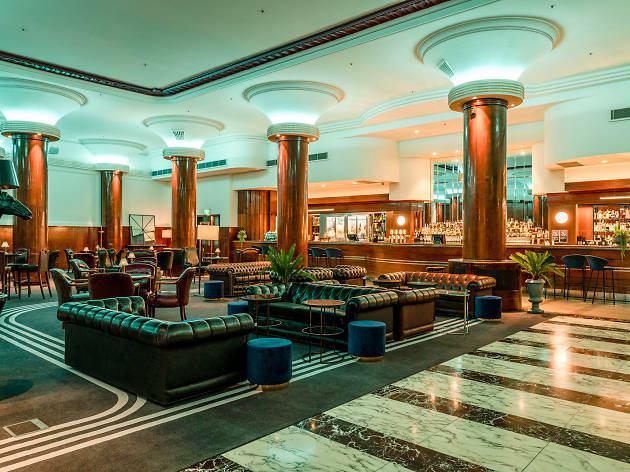 Have a side of history with your schooner in their lovingly restored Lower Bar – a popular haunt for bookmakers in the 1920s, its marble floors and Art Deco columns have been reinvigorated this year with a fresh menu, bold whiskies and live music. Give your after-work drinks some polish with Lower Bar's blended whiskies, cocktails, classic beers and shareable snacks. Settle into the leather lounges and choose from their extensive Martini menu, or try one of their fruity cocktails, such as an Everyday Romeo with Alize Gold Passion, Paraiso lychee liqueur, Absolut Blue vodka, passionfruit pulp and fresh lime juice. There are also charcuterie boards to complement your drinks, along with freshly shucked oysters, potato wedges and beef tacos. All soundtracked by live music on Thursday and Friday nights. Tell your workmates to shake up the same old drinks routine and take them to City Tattersalls Club's Lower Bar for a sophisticated and fun change. Find out more here.